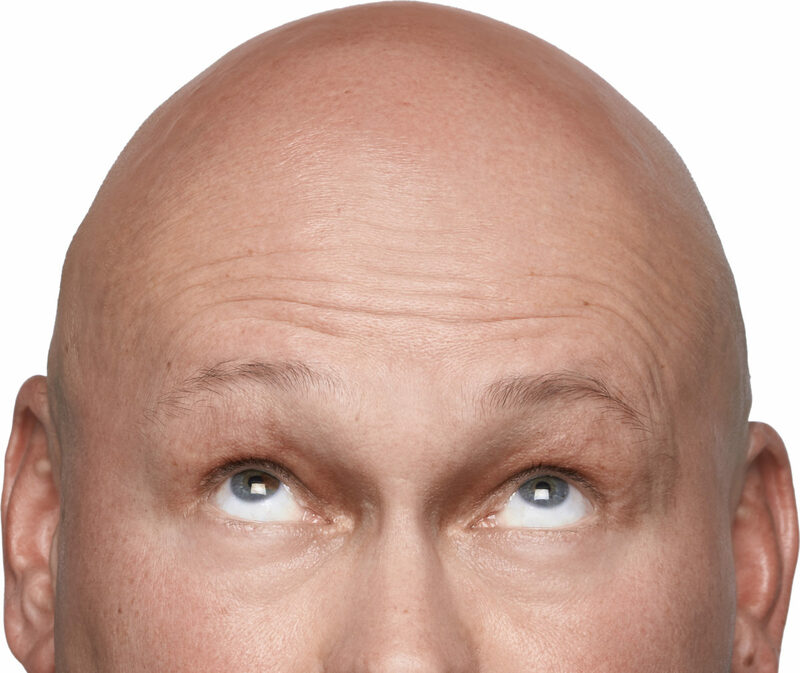 Bald Men Don’t Use Hairspray. Do They? Asking my bald friend Rob if he had any hairspray wasn't as surprising as his answer. Attending the symphony has always been a treat for me, and it’s even more fun when I go with someone who appreciates classical music as much as I do. My friend Rob is one such person. For the 25 years I’ve known Rob, he’s been bald—one of those guys whose hair started thinning in high school and mostly disappeared from the top of his head by the time he was in college. But being bald has always suited Rob well and calls attention to his beard nicely. Aside from the music, another favorite aspect of going to the symphony is taking the opportunity to put on fancy clothes, go out for a nice dinner, and make a grand evening of it. I think that it’s important to create those “special occasions” whenever we can. Why not? If life is short, we should seize every opportunity to enjoy our favorite things and the people in our lives. One particular symphony evening, however, offered an interesting conundrum. The weather was blustery—and while the wind wouldn’t normally be a problem, this night was different. I’d been growing my hair for several months and was using a lot of product to keep it neat and groomed. Naturally, I didn’t want the wind to ruin my dapper hairstyle. When I stopped by Rob’s to pick him up, I wished I’d brought some hairspray to give my head a final spritz. Assuming he didn’t have any, I asked Rob, “You wouldn’t happen to have any hairspray… would you?” My question sounded more like a rhetorical statement than an actual inquiry. Okay. Now I was really curious. Sure enough, by the washing machine was a bottle of hairspray. So bald men do use hairspray… just not on their heads… I chuckled to myself, gave my hair a final spray, and headed back upstairs to tell Rob about my moment of truth. “That would be a great blog title!” we both laughed. That evening, my creative gears started turning. What other assumptions have I been making? And how might some of those beliefs be changing my experience? So I started thinking about other assumptions I’ve made and how they might affect my relationships and opportunities. Older means wiser. Not necessarily. We can see bullies in the boardroom as easily as on the playground. But it’s never too late to take responsibility for our actions and be respectful—regardless of age. Time is speeding up. As life causes us to grow and expand, we create more memories and experiences. As a result, we have more to remember—and more to forget. Time isn’t gaining momentum; we are. Money buys happiness. Not really. Money just buys more stuff. Happiness cannot be bought; it comes from within. Besides, money is only energy—a temporary means to accomplish a result. Compact discs last a lifetime. Not so much. Digital music is rapidly making them obsolete. Apparently manufacturers never imagined how quickly their CD would become a drink coaster. Classical music is boring. As a child, I never understood why people created music without words until I learned to listen to the story behind the music. This prompted my ongoing interest in the Minnesota Orchestra, particularly Inside the Classics—a mixture of witty conversation and orchestral excerpts that educate the audience about the stories behind the pieces and composers. Life is a struggle. Some days it feels that way. But life can also be a fantastic voyage into unknown territory—a non-stop ride with new experiences and lessons learned. It’s a choice we make.